The Cantii name seems to be relatively easy to break down (and is pronounced kan-tee-a-ki, with mild emphasis on the emboldened letter). The usual theory that the name refers to living on the edge or border [of other territories] is unconvincing. 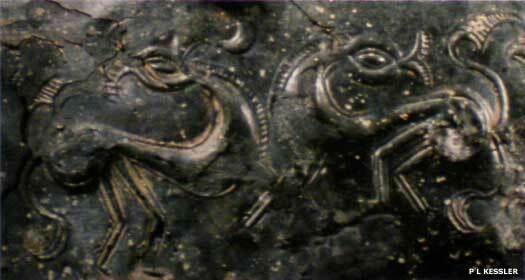 The simplest explanation is often the correct one, this being the proto-Celtic *kanto- (W), *kantjā- (Ir. ), meaning 'host, gathering'. They could also possibly have been 'the singers', from *kantlo-, meaning 'song', or simply 'the hundred', from *kantom-, meaning 'hundred', which is still spelled 'cant' in Welsh, cognate with the Latin 'centum'. The 'host, gathering' may derive from ' the hundred', as may the word for areas of settlement, 'canton'. Like many of their neighbours in the south-east, the Cantii were Belgic people from the North Sea or Baltics, part of the third wave of Celtic settlers in Britain. They formed a recognisable territory which may not have been a single unified kingdom until the start of the first century AD, but which instead appears to have been several smaller kingdoms which operated as a confederation in times of trouble. The four individuals who flourished around 55 BC may have been rulers of each of the Cantii kingdoms, perhaps operating together under the authority of Cassivellaunus of the Catuvellauni. Certainly Julius Caesar recorded the Cantii as having four leaders who were kings in their own right. The Cantii at this time were strongly influenced by their Belgic neighbours, the Atrebates, who were more recent arrivals in the country. Their customs were also much the same as the Celts of Gaul, and they were wont to die their skins with blue woad which made them look more terrifying in battle. This custom died out south of the Antonine Wall following the Roman Conquest. That conquest may have caused some of the Cantii to flee northwards where a tribe called the Decantae was noted, just once, by the Romans in Pictland around AD 140. Decantae could have meant 'of or from the Cantii', and something similar may have happened with the Parisi tribe. Pytheas of Massalia, a Greek geographer and explorer undertakes a voyage of exploration around north-west Europe. During his trip he visits Britain, which he names the Prettanic isles (spellings vary thanks to the translation from the original Greek). He travels extensively, making notes of what he sees, and also provides what may be the earliest written report of Stonehenge. He names the promontory of Kantion (land of the Cantii), the promontory of Belerion (land of the Cornovii), and Orkas (the Orkneys). Although this may seem a little early to be encountering the Cantii, perhaps that's not the case. These early Cantii could be second wave Celtic migrants to Britain who are supplemented by later third wave arrivals in the form of a warrior elite that itself becomes dominant over the earlier arrivals. 'Kantion' and 'Cantii' are exactly the same with different plural endings: '-i' is a Latin plural, '-ion' is the plural in Brythonic and is still used by the modern Welsh. Gallo-Belgic C coins can be found which are tentatively identified with Diviciacus of the Suessiones. Finds are concentrated amongst the Cantii, but can be found as far west as the Sussex coast, in the territory of the Regninses, and up to the Wash.
Gallo-Belgic F coins are also found in many coastal areas of Britain, introducing the triple-tailed horse design on the reverse that becomes widespread over the next few decades. The existence of so many coins that are linked to the Suessiones, or which ape their design, suggests to scholars that the Suessiones form a considerable portion of the Belgic peoples who migrate into Britain from the second century BC. Julius Caesar considers the Cantii to be the most civilised of the Britons, but there is no evidence at this point that they have formed a single tribe. The four kings of the tribe might indicate a multiple magistracy, like that of the Corieltavi, but it is more likely that they each govern a separate kingdom. The area is already under strong Belgic influence from the likes of their neighbours, the Atrebates, although the Cantii themselves may be part of an earlier wave of Belgic settlers. The four kings of the Cantii during 55-54 BC. One of them was killed in 54 BC. Concerned about the level of British support for the Gauls during the Gallic Wars, Julius Caesar mounts a reconnaissance mission, landing his Roman troops at Deal, immediately south of Tanatus Insula, the island of Thanet that is divided from the mainland by the River Wantsum (now largely silted up). He engages several south-eastern tribes in battle from his shoreline base before he is forced to retreat. The British use of chariots is particularly problematical for the Romans, as they are without effective cavalry support to counter them. 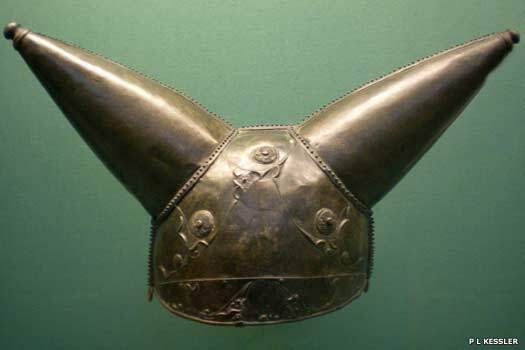 The tribes seem to be under the overall supervision of the powerful Cassivellaunus of the Catuvellauni, although much of the fighting is probably handled by the Cantii. Peace terms between the Romans and Britons are eventually agreed and Caesar makes the best of what has been a troubled expedition and retires to Gaul until the following year. Caesar, with five legions and 2,000 cavalry, lands near the same point in eastern Cantii territory. He temporarily clears a hill fort of its Briton defenders, probably Bigbury Woods which overlooks a crossing point of the River Stour, near Canterbury. Then, distracted for ten days by the necessity of building a secure camp, he returns to find a much larger force under Cassivellaunus, king of the Catuvellauni, which attacks the Roman forces on the march, leading to a running battle which is resumed the next day. From this point the fighting moves out of Cantii territory and into that of the Catuvellauni north of the Thames. Meanwhile, the Cantii leaders are instructed to attack Caesar's base camp near Deal. In the engagement, a minor chieftain named Lugotrix is captured, one of the native kings is killed, and the rest are driven off. Caesar subsequently withdraws from Britain to deal with rebellions in Gaul and never returns. 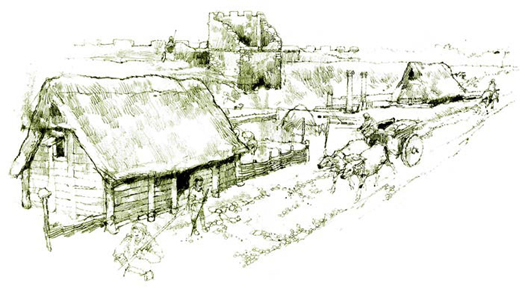 The Cantii, or one of the four sub-tribes, if they still exist as such at this time, move their capital to a crossing on the River Stour (the site of modern Canterbury). The town they found there, or which is expanded from an earlier settlement, is known as Durovernon. Dumnovellaunos appears to become king of the Cantii at about the same time as the Catuvellauni king, Tasciovanus, dominates the Trinovantes. The circumstances of Dumnovellaunos' acquisition of dominance over the Cantii are unknown, but perhaps Tasciovanus plays a part in them. King of the Trinovantes (c.10 BC-AD 5). Dumnovellaunos apparently travels to Rome where he pays tribute to Caesar Augustus (recorded in the Res Gestae), showing that the Trinovantes and Cantii seem to maintain the links with the Romans that had been established by Julius Caesar. Eppillus of the Atrebates is overthrown in his homeland by his younger brother after the latter builds up a following of nobles who are disaffected by Eppillus' own grab for power. Eppillus flees to the land of the Cantii, probably passing through Regninses territory along the way. Once in Cantii territory he overthrows the ruler and takes command. Exiled king of the Atrebates & Belgae. Eppillus' base appears to be at Durobrivae (Rochester), at the mouth of the River Medway in North Kent. It is from here that his mint issues coinage from around AD 15 bearing his name, and his accession appears to be popular with the Cantii, at least across the north-west of the region, which is where most of his coins are later found by archaeologists. This raises the possibility that the Cantii still have multiple rulers (perhaps two by this stage), with someone else holding the east and south of the territory - Vosenos, perhaps, whose base could be at Durovernon, or the shadowy Iovir. The Catuvellauni to expand their sphere of influence into the Cantii territory at some point between here and AD 35, perhaps starting with pressure being brought to bear on the existing king. The death of Vosenos probably allows the Catuvellauni to permanently take over the Cantii territory. Adminius, son of Cunobelinus, is given command of the tribe, possibly marking him out as the eldest of the king's three sons. The region always proves to be the main port for goods arriving from the Continent and this period is no different. It may be that Roman influence comes with Roman goods, affecting Adminius and later marking him out as a threat to his brothers. He mints his own coins which are marked with the abbreviation DVN, suggesting that his mint is at the tribal capital of Durovernon. The coins are found throughout the region, further suggesting that the Catuvellauni takeover has subjugated all of the Cantii and the former system of regional kings has been terminated. Son of Cunobelinus of the Catuvellauni. Expelled. The succession appears to be uncertain for this period. Togodumnus, son of Cunobelinus, rules the Catuvellauni, but not necessarily the Trinovantes, while his brother, Adminius, is expelled from the country around AD 39 or 40, (probably due to his pro-Roman tendencies) and is not known to return. The basis for the expulsion may relate to a power-grab by Togodumnus and another brother, Caratacus. Adminius flees to the Continent with a small band of followers, where he surrenders to the Romans. The emperor, Gaius (Caligula) may get his initial idea of mounting an expedition across the Channel from this 'famous victory', as the surrender is proclaimed by him. Ascended Catuvellaunian throne. Lost kingdom to the Romans. The Cantii are conquered by the invading Romans, with defeat probably coming after the loss of the Battle of the Medway, in which the Romans use their Batavi mounted troops to cross the river and surprise the Britons. Some elements of the Cantii may flee north to Pictland where they re-found the tribe as the Decantae. The Roman Governor, Aulus Plautius, is probably responsible for now establishing a legionary fort at Durovernon in order to secure his rear, soon after the invasion passes through the region. The name of the former settlement is Latinised as Durovernum. There is the possibility that Adminius is installed as governor as repayment for his loyalty to Rome. A first century military-design villa is discovered between 1962-1976 by archaeologists at Eccles (north of Aylesford). This is near the crossing of the North Downs Way and the River Medway, and along with the villa, a temple and a pottery kiln are also discovered. The name 'Eccles' itself (Latin 'ecclesia') suggests that there is a later British Church building here, perhaps from the third century and possibly a conversion of the earlier temple. The military depart the fort at Durovernum and although the town continues to remain settled by civilians, living in Belgic huts rather than Roman buildings, little development takes place for a decade or so. A theatre is built at the heart of Durovernum, joining a brand new forum, basilica and temple. Public baths lay to the north-east of the theatre. The former military fort at Durovernum is converted into a tribal capital, or civitas, which is named Durovernum Cantiacorum, 'the walled town of the Cantiaci by the alder marsh' ('duro' being Brythonic for 'stronghold' and 'verno' being related to the later Welsh word, 'gwern' for swamp, especially one with alder trees). 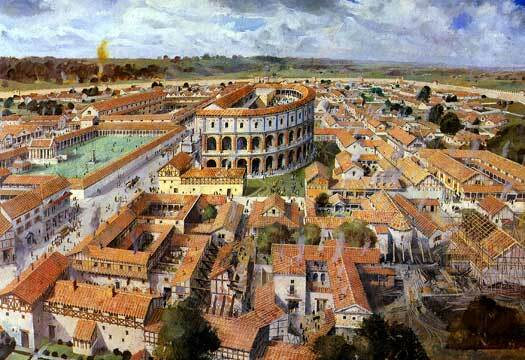 The new town, laid out in the regular Roman street pattern with the usual Roman public buildings, soon flourishes. As well as being the principle administrative centre for the region, its location on the main route from the south-east coast to London also makes it the principal trading centre. Roman Canterbury is prosperous and contains many sizeable public buildings and private dwellings, the latter mostly built in wood. With Saxon raids on the eastern coast of Britain increasing and the entire north-western part of the empire being run as an independent but fully Roman state with its own series of emperors, called the 'Empire of the Gallic Provinces' (Imperium Galliarum), Durovernum gains a defensive wall with single-arch gateways to the principle roads. The theatre is also rebuilt in this century. The cemeteries continue to be used, although probably for some Christian services alongside the pagan ones by now, and a mausoleum in one of them is probably the building that is later re-used as St Martin's Church. The Romano-British kingdom of Ceint re-emerges as a directly descended form of the Cantii tribal region, and apparently controls much the same territory. In the fifth century, the former territory of the Cantii tribe appears to have re-emerged as a kingdom in its own right. Situated in the far south-eastern corner of the country, it was the closest point to the Continent and was neighboured to the west by Rhegin. To the north the situation is extremely uncertain. Possibly a territory or kingdom was formed around Londinium, or Verulamium (Caer Mincip, itself possibly united with Caer Colun), and the latter certainly existed as a sixth century enclave. Ceint itself is unlikely to have controlled Londinium, as this would have been the seat of the national authority, whether this was embodied by Vortigern, Ambrosius Aurelianus, or whomever. In common with much of the south-east of Britain following the expulsion of Roman authority in AD 409, very little is known about Ceint, even down to its name. Practically the only truly reliable evidence comes from archaeology, while the bulk of the written evidence comes via the Anglo-Saxon Chronicle or Nennius' Historia Brittonum. Neither are fully reliable and the former is very brief. According to them, it is in Ceint that Vortigern settled a new wave of laeti, Jutish mercenaries who were given a home on Ynys Tanatus (the Isle of Thanet) in 450. After fighting off the country's enemies, the laeti saw how weak the Britons were and launched a takeover in 455, leading to the British loss of Ceint and the first step in over two centuries of Germanic conquest. That someone led the battle to try and regain Ceint is attested by entries in the ASC, although a name is not mentioned. British sources say this was Vortimer, son of Vortigern, but the dispossessed king of Ceint (named by Nennius) must have been involved. Nennius also named Ceint's capital as Caer Ceint, the 'fortress of Kent'. Following conquest, the invaders kept the name but it was expressed differently in their tongue as Cantwarabyrig - 'fortress of the men of Kent', modern Canterbury. Durovernum Cantiacorum remains occupied and in fairly good order for a short period following the expulsion of Roman authority from Britain. Saxon laeti, mercenaries, are introduced to several key sites in Ceint, living in small communities outside the city walls, and Durovernum is no different. Whether (and when) Ceint emerges as a true kingdom or a semi-independent territory is unknown. A workable theory is that magistrates govern areas of the south-east of Britain in the Roman style under the country's central authority. The name Guoyrancgonus is supplied by Nennius in the ninth century, but if this man does not exist at this time then someone else probably does to fulfil the same role. The Saxon foederati and laeti in the country revolt, causing widespread chaos and temporarily controlling swathes of Britain. Around this time, Durovernum shows signs of marked deterioration, a process which may have begun in the 420s but which accelerates notably. Hengist and Horsa, great-grandsons of Wehta, are invited from Angeln to Britain by Vortigern. They land with three boats of Jutes at Ypwines fleot (Ebbsfleet in Kent). 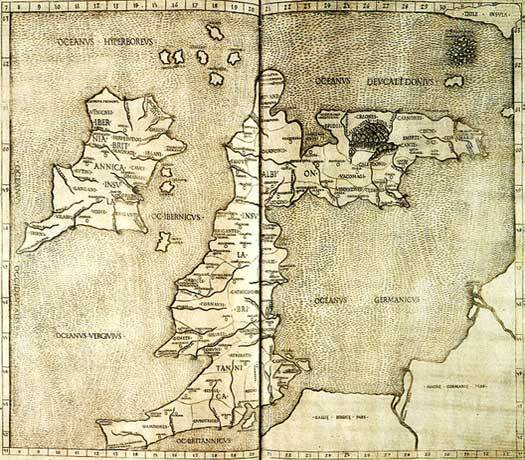 Traditionally, they fulfil the terms of their contract by fighting back Pictish and Irish Scotti invaders and receive territory on which to settle on Ynys Tanatus (the Isle of Thanet at the north-eastern tip of Kent). The British territory or kingdom of Ceint is quickly overrun at the start of the revolt led by Hengist and his Jutes. Two important battles are fought, at Aegelesthrep in 455 and Crecganford in 457. With the British on the losing side, Guoyrancgonus retreats to what appears to be his back-up headquarters in Londinium, although it seems unlikely that he commands here. The city has probably been the seat of Vortigern, and is now that of either his son, Vortimer, who is involved in the fighting to free Ceint, or his successor, Ambrosius Aurelianus. It appears that the kingdom is given up as lost, despite possible intentions to reclaim it at a later date. Any such intentions are never realised, and instead Londinium itself has to be abandoned by the end of the century. Durovernum Cantiacorum is not abandoned, unusually, although life is probably very different. A layer of 'dark earth' is later found immediately above the Roman remains on sites throughout the city, pointing to a period during which the local inhabitants reverted to a rural, agrarian lifestyle. The main Roman buildings and road system fall into disuse and are later overbuilt by the medieval city, but there still seems to be a sizeable settlement here. Hengist and Oisc of Kent fight the British at Wippedes fleot (location undetermined), and claim the slaughter of twelve British leaders against the loss of just one of their own thegns, Wipped. It seems possible that the site of the battle could be near to the Roman fort at Rutupiae (modern Richborough), in the far east of Kent, which makes it unlikely that a British force has penetrated from Londinium in the west. Instead, and supported by archaeology, it seems that this is a mopping-up operation against a British enclave which may have held out in the fort and its environs for a decade. Romano-British belt buckles found at the site and in nearby Jutish burial grounds indicate that spoils of war are taken and reused as prized possessions for a time. The new Germanic occupiers of the region are probably already thinking of themselves as the Cantware, 'Men of (the Jutish Kingdom of) Kent'. Their kingdom appears to incorporate the traditional territories of the Cantii, including all of Kent, East Sussex bordering Rhegin, eastern Surrey and London south of the Thames.